RFW Cycling Club in Corby has been twinning annually since 1972 with Velbert – Germany and Châtellerault – France. The three towns take it in turn to host and invite the other two towns to take part in a cycling week-end and meet many friends old and new. This year RFW host the event on 18-21 May. The club arranges social rides on almost all Sunday mornings throughout the year, with groups going at varying rides speeds. If you just fancy a ride out with us, try Sunday mornings from our clubhouse. DETAILS HERE. Based at our clubhouse in Middleton near Corby, we are a friendly cycling club serving the surrounding area of North Northamptonshire and South Leicestershire. You can meet us any Wednesday evening at the clubhouse, join a Sunday morning club ride, or find out more by contacting us with your questions. Whether you already enjoy cycling or are looking to take up cycling for leisure, fitness or racing you will find Rockingham Forest Wheelers with about 70 members, to be a very active, sociable and inclusive club with something for everyone. For leisure cycling, club rides regularly number 15 or more members. 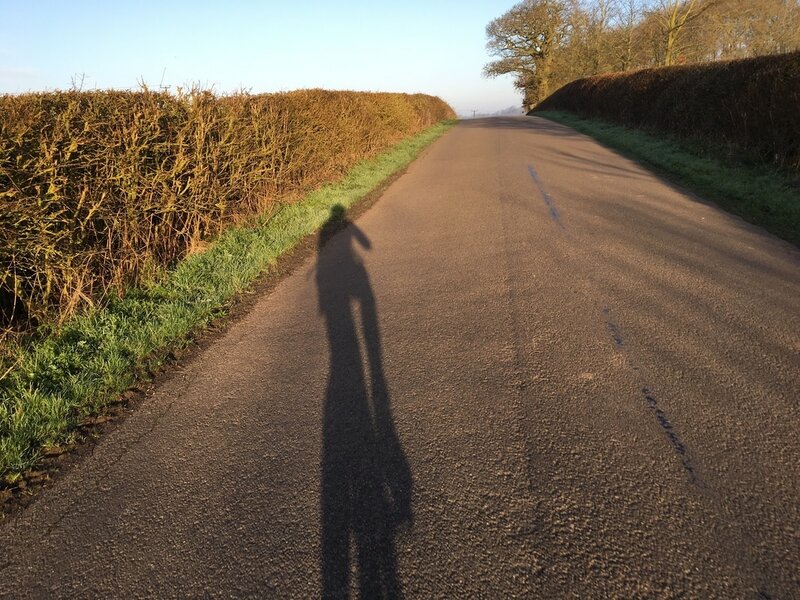 There is nothing better than riding with other friendly and experienced cyclists while discovering routes and places in the countryside around Northamptonshire, Leicestershire and Rutland, or beyond. You will soon gain experience on safety, cycling technique and equipment, and be able to ride further and faster and perhaps be motivated to take up new cycling challenges. If your interest is in racing, about 20 members are active in one or more of the racing disciplines; road, CX, track and time trialling. Not everyone can join the Sunday rides or wants to race, but the Clubhouse, open every Wednesday evening from 7pm throughout the year, is a thriving social centre for all the activities of the club. From training rides, competitive races, club rides, fun rides, meetings and talks; the club has a place for everyone, whatever their interest in cycling. Summer is busy with races most weekends, plus the club's regular TTs on Wednesday evenings and social rides on Sunday mornings. If you want to ride, spectate or just find out about Time Trials, we run one most Wednesday evenings - check out the Compete section in the menu above for more information. It's a great time to draw on our members decades of experience, which they are always happy to share! We run and compete in Road Races and Off-Road racing too, again more information is under the Compete menu section. Track Sessions are organised at Derby Arena for riders with all levels of track experience from 'virgin' to racer. RFW are arranging these in conjunction with other local clubs as a chance to socialise and compete together. Details are now on the Track Cycling page under the Compete menu above. Contact Steve Wickham if you are interested. Cyclocross - What's it like?? CXL V40s Round 3: Hemel Hempstead. 11:50am It’s a perfect sunny morning, 12 degrees, no wind. Warm up and lap recce’s done. Hemel is ready to unleash its next race on this awesome dry course, with its climbing, fast twisting descents, the spiral feature, hurdles and more. This is set up perfectly to be a tough cyclocross crit race. 11:55am The whistle blows! It’s call up time for the 83 riders in the V40s. Rockos, Phil Wilkinson and Warren Drew await their names to be shouted out to join the gridding. Finally they’re called starting in the 6th line up. The grid is packed in well, almost like a tin of sardines. A few chats and laughs are going on but most are just focused on the job in hand and what awaits them. 12:01pm The commissionaire calls 1 minute to the start. Riders do their last minute checks, sips of drinks, click one foot in. The adrenaline and nerves build. We hear the 15 second shout. The Rockos wish each other luck. We wait anxiously for the whistle to blow. 5,4,3,2…… 1. 12:02pm They’re off. Phil and Warren click in smoothly and blast down the first straight into the first right hand corner and into the first climb. Weaving in and out of riders. The start was quick, frantic and crash free. The Rocko’s get a good start picking off riders as the first lap takes shape, but then they hit the spiral, bottle neck time, riders pushing each other, getting stuck behind each other. The first 20 or so riders are gone at this point. Finally we get out of the spiral, Phil gives Warren a helpful push out the way as he drives forward and out of the mess as Phil gets caught up more. The race soon gets to its normal mini groups of racing and chasing each other down. The course was dry, fast, technical and each hill and burst of exceleration just sapped you even more of your vital energy. But the Rockos didn’t give up, they rode well and strong. As the race progressed Phil was only a few riders off Warren and found the inner strength that he always has and started to reel Warren back in, but in the closing laps Warren managed to add in a few bursts to just hold Phil off and finish in 50th place with Phil coming in 53rd. Both completing 5 laps. At the end of the race, when both Rockos had finally cooled down, got their heads back together after the gruelling race they’d just put themselves through. They smiled, shook hands and reflected on what a cracking tough race it was with all the other riders around them. What a day. Love of mud. Love cyclocross.